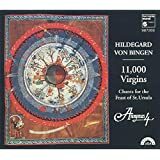 The music on this CD comes from the great Hildegard of Bingen, one of the towering female figures from the Middle Ages. 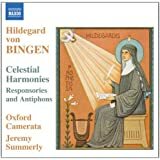 Hildegard is not only one of the few women whose name has come down to us from the Middle Ages, but one of the few composers of any sort whose name survives together with his or her compositions. 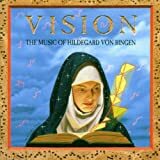 Hildegard was a sort of Renaissance woman before the Renaissance, whose fame spread in her lifetime such that she was advisor of monarchs and popes, as well as a significant creative and mystical figure. 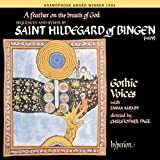 This recording was done to be released in 1998, the 900th birthday of Hildegard - that her music continues to be performed, and continues to inspire generations of listeners religious and not is a remarkable feat for any composer of any age. 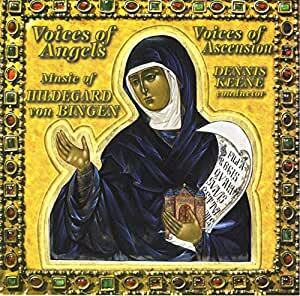 The Voices of Ascension, under the direction of Dennis Keene, opted for this recording to feature only female voices. The soprano group includes Margery Daley, Michele Eaton, Eileen Clark Reisner, Ellen Taylor Sisson, Arlene Travis, and Alessandra Visconti. The alto group includes Margery Daley, Megan Friar, Denise Kelly, Alexandra Montano, Esther Mullens, Liz Norman, and Ellen Taylor Sisson. Montano, Eaton and Visconti are featured soloists on certain tracks, along with Kathy Theil. The recording includes hymns to St. Ursula (one of the special subjects of devotion of Hildegard - look for the Anonymous 4 recording of the works in honour of St. Ursula), hymns to the Holy Spirit, and pieces for liturgical and office singing. For this performance, the Voices of Ascension singers have kept embellishments to a minimum, singing things in a more pure style. The result is an absolutely stunning musical style full of clarity and possessing a soaring spirit. 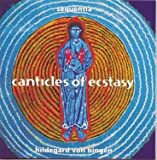 The first edition of this disc comes with a die-cut card of the cover art, which features a modern icon of Hildegard from the National Cathedral in Washington, DC, as well as 28-page booklet with commentary, Latin texts and English translations, and biographies and pictures of the performers. 5.0 out of 5 starsTruly Angelic! What can one say? A small sample of heavenly music! 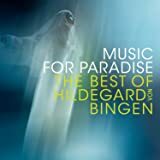 I adore Hildegard! She is one of the few women in music history that made such a consistent line of compositions through her life. In addition, she was a champion for women in the church, going against the authorities in order to make life better for women. And on top of that, her music is wonderfully expressive and beyond the limitations intended to remain on music in her day. This album beautifully represents her ideas, taking the tone suitable for singing early music. The acoustical setting in which the pieces were recorded obviously takes into consideration the fact that these pieces would have been performed in a church or monastery. If you only own one early music CD, this would be a great pick!